Task Force X: Episode 25 : The Movie Review Plus Suicide Squad 17 and Checkmate 4! Episode 25 : The Movie Review Plus Suicide Squad 17 and Checkmate 4! I bring to you our amazing... Episode 25 : The Movie Review Plus Suicide Squad 17 and Checkmate 4! A little delayed due to sickness and home life, but we're back... the 25th episode of Task Force X. First up we review the Suicide Squad movie.... Did I like it? Did I hate it? Listen and find out! Suicide Squad issue 17. The return of the Jihad! 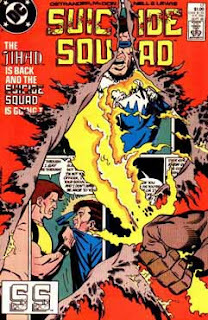 Then at about the two hour mark, I look at Checkmate 4 (with two stories this month). 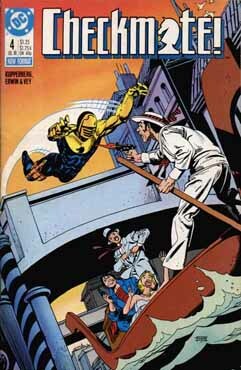 Title: "One Knight in Venice..."
Over on The Starman/Manhunter Adventure Hour, where I'll be talking about the Will Payton Starman and Mark Shaw Manhunter comics. Currently I'm only looking at the Manhunter comics,as Invasion! is coming. Then, look for G.I. Joe: A Real American Headcast the first week of the month, where we look at G.I. Joe: A Real American Hero issue 13 and the first episode of the regular series.